Even if 4 months behind schedule, it's ready for use over 5 years before the 2022 World Cup. 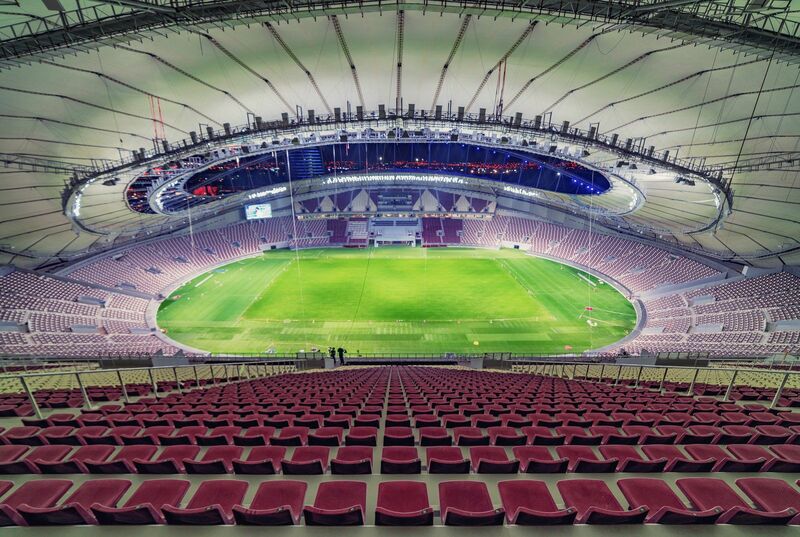 Former national stadium of Qatar will open its doors on Friday to host the Emir Cup final. According to the Supreme Committee's previous estimates, their World Cup's first stadium was supposed to be ready by the end of 2016. This means it's 4 months overdue, but that can hardly be seen as a disappointment. After all, does anyone remember a FIFA World Cup stadium built/rebuilt 5 years before the tournament? Sure, Qatar had far more time than most host countries, but having it done already is still impressive. First supporters will be able to visit the stadium on Friday. 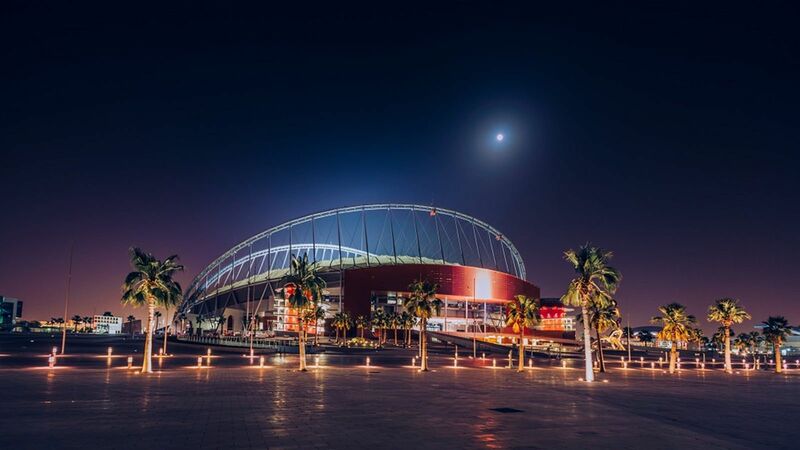 At 18:30 local time the reopening ceremony will begin, preceding the Emir Cup final game between traditional rivals Al Rayyan SC and Al Sadd SC. 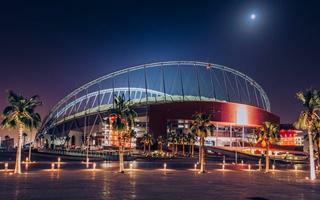 Until recently the stadium was considered the national one and will temporarily continue to play that role until its successor in Lusail is built. Before reconstruction began in 2014, it was able to host 50,000 people. Today the capacity is 48,000 (will supposedly drop further before the very World Cup), which means a decrease of 2,000. We emphasise it because the stands have actually grown in terms of size with additional upper deck in the east. So why no increase in number of seats? 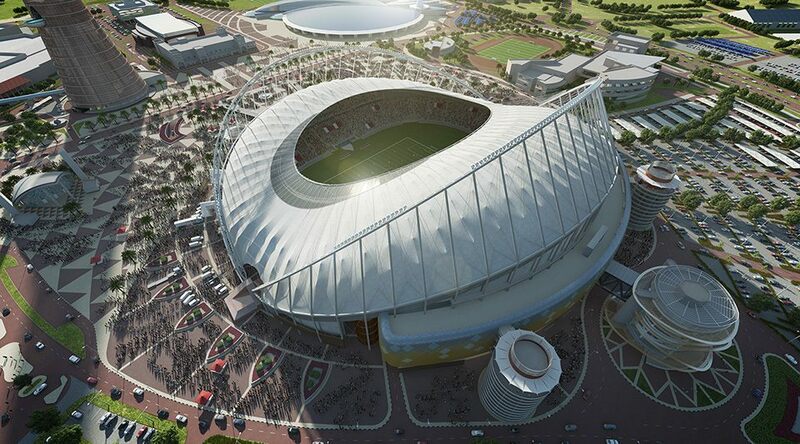 According to official sources a larger stadium in the Aspire Zone is simply not needed. After all, the stands here have track and field lyout and there is no long term demand for an athletic stadium of over 50,000. Still, the increase in floor space is immense. We do not have the final numbers confirmed as of today, but the surface has at least doubled to under 50,000 m2. In terms of VIP and corporate hospitality areas it grew even more impressively, now welcoming the most affluent spectators on both the west and east side. Ever since it was reconstructed in 2005, the stadium had eye-catching arches rising well above its stands. Now they were reconstructed from scratch to support it new roof and this makes them even more impressive, rising to 120 meters at peak! Uniquely profiled tensile membrane roof is handing below the arches, covered with 48,000 m2 of both PTFE and ETFE membranes. Altogether there are 92 strips of membrane imported from USA and Japan (cut and assembled in Mexico), while the cable system holding them in place came from Italy and Germany, according to the local organisers. Beneath the 4,000-ton “cloud” are dozens of nozzles which will pump cool air into the stadium, ensuring it offers comfortable viewing conditions regardless of time of day and year.